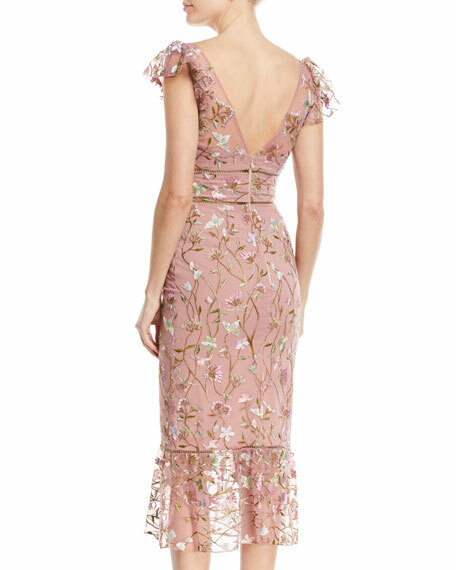 Marchesa Notte sequin embroidered dress with ladder trim details. Ladder trim waist and hem. For in-store inquiries, use sku #2490279.